Find out exactly what the progress of your order is in real time with our brand new online tracking service. 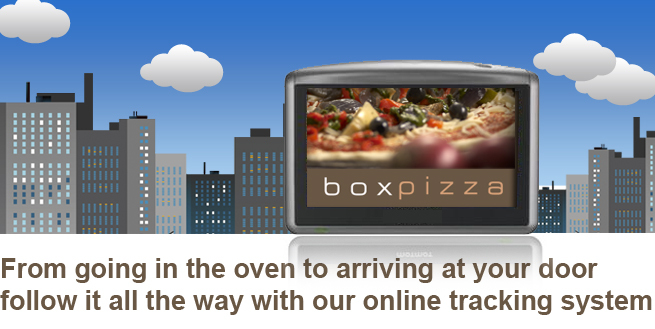 Simply type in the phone number you used to place your order in to the box and find out if your order is currently being prepared, in the oven, ready or dispatched. We currently deliver to the following postcodes below. our delivery area is carefully worked out to ensure your food arrives fresh and on time. If we don't currently deliver to your area, we do offer a speedy collection service. We aim to deliver every order within the time quoted however quoted times both on the phone and online are estimates and may sometimes take longer, especially at peak periods. Sorry, we can't deliver side orders without a pizza order. We don't take cheques but we can take most major credit and debit cards.